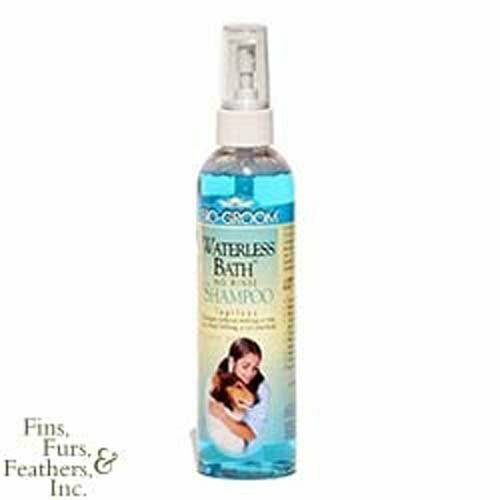 Easy to use shampoo that requires NO wetting or rinsing. It cleans gently, removes stains, and is especially valuable for touchups. Great for spot cleaning, during bad weather, caring for puppies and kittens, after surgery, soiling mishaps, old or sick pets. Anytime bathing is not convenient, just apply and wipe dry. It is tearless and alcohol free. It will not change coat appearance.